Siva Prasad Janapati is a software engineer working in the e-Commerce domain. He has hands on experience on Java, JEE, Spring, Apache Solr, Node.js, JBoss and other open source/enterprise technologies. He loves to explore new technologies and trends. In this article we will see how to create CI/CD pipeline for APIGEE API proxies. I have referred couple of articles on APIGEE community on the same topic. Those gave some idea on how to setup CI/CD pipeline for API proxies. Here are the tools which I have used to setup CI/CD. Make sure that you have created APIGEE edge account and a sample proxy to start with. Below is the architecture diagram which shows CI/CD pipeline and the stages involved. You can use this as a baseline CI/CD for your projects and can enhance it based on your requirements. Here are the steps I have implemented in CI/CD pipeline. Developer pushes the API proxy code to GIT. 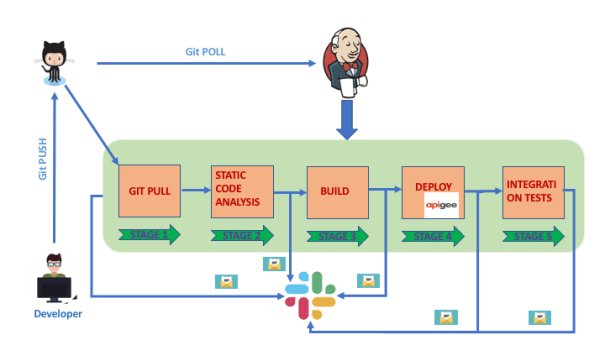 Jenkins polls GIT and starts CI/CD Stage 1 based on GIT changes. As part of Stage 1, the code will be pulled into workspace. In “Static Code Analysis” stage, the code will be analyzed for any violations of best code practices and anti-patterns usage. If this stage is success it proceeds with build stage. After the each stage completion either success or failure the notification will be sent to Slack channel. As part of build stage we will create APIGEE API proxy bundle. In Deploy stage I used APIGEE management APIS to deploy API proxy bundle. In all the stages the notifications will be triggered to Slack channel. There are some enhancements which I will do in coming days. Below are some of the changes which I will target as enhancements. Revert the API proxy to previous revision if the integration tests fail. If integration tests success, promote build to load test environment and run load test scripts. The setup and project used as part of this article is available on github. Till then, Spread love for APIs!!! 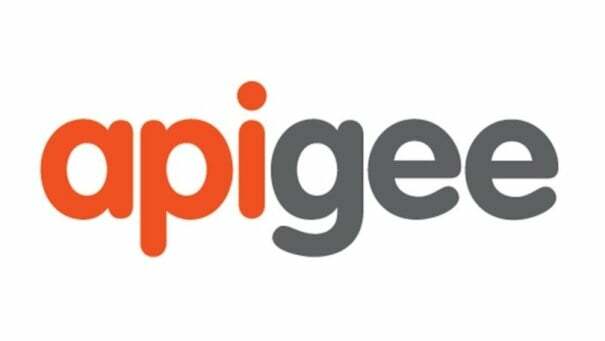 FlexDeploy also provides Apigee plugin for quick implementation of CI/CD for Apigee. See https://flexagon.atlassian.net/wiki/spaces/FD50/pages/1074069613/FlexDeploy+-+Apigee+Plugin+Guide.